Jeans are durable and do not get worn or torn easily. Perhaps, a lot of tourists may be traveling around Japan, wearing jeans. Kojima in Kurashiki City, Okayama, is famous in Japan as a production area of such popular jeans. 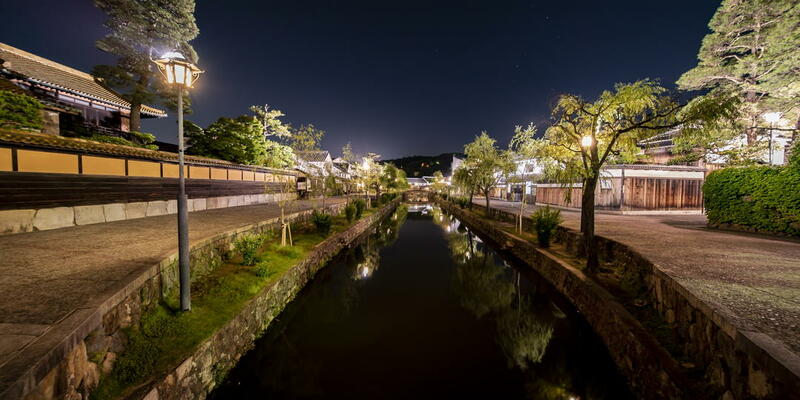 Kojima has been prospering as a town of textiles since old times. 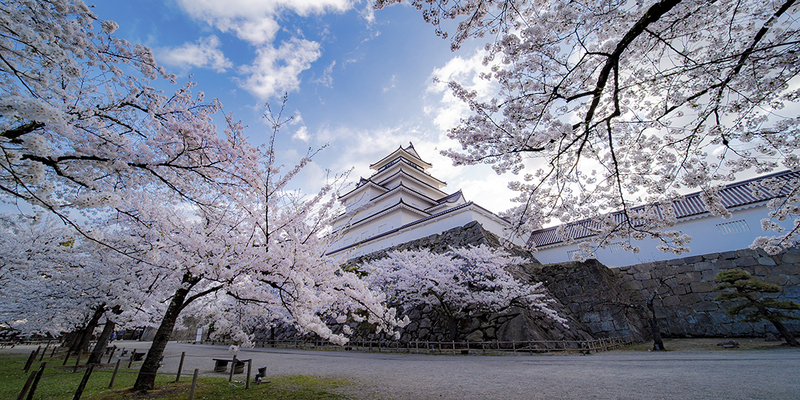 It started with cotton cultivation in the Edo period (1603 - 1868), and then was proud of Japan’s largest production volume of tabi socks and uniforms for Japanese high school and junior high school students, developing its history as the town of textiles. Against a backdrop of such history, domestic production of jeans began for the first time in Japan in 1965. Today, over 50 years after, the Japan-made jeans have come to attract attention with their high quality and skills. 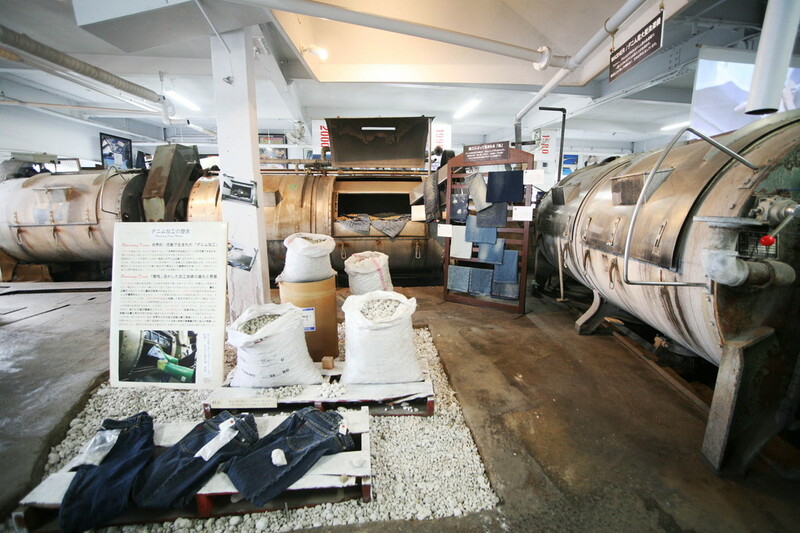 "Jeans Museum" is an only museum in Japan where you can learn such history of jeans. 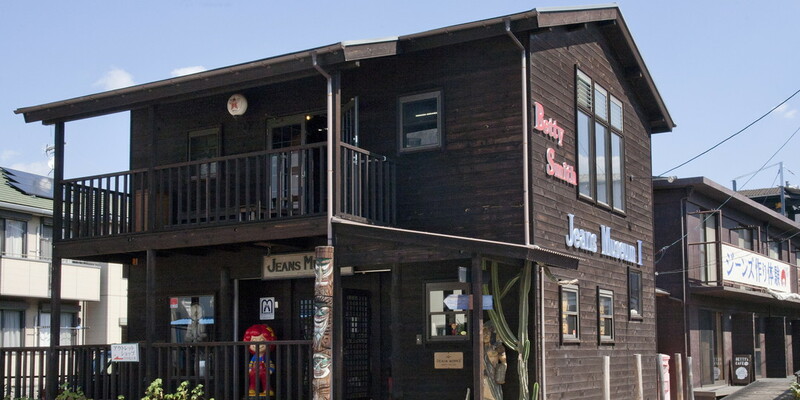 The museum was founded by “Betty Smith” which launched a lady’s jeans brand for the first time in Japan, in the early years of jeans made in Japan. In addition to Jeans Museum I and II, there are a sewing factory, a factory outlet, an experience factory, etc. in the premises. Therefore, this place is a big amusement spot where you can enjoy shopping, experiences and tours. The museum I was opened in 2003. At the entrance, a native American doll and over-100-centimeter-tall Betty will welcome you. In the museum, there are panels and exhibits that explain the history of jeans that were born in U.S. and its time background in an easy-to-understand way. On display are a lot of precious materials that cannot be seen anywhere else, including a valuable model provided by Levi Strauss & Co. which became a prototype of "501 〷" and Union Special sewing machine dedicated to thick cloth, which had been used in the beginning when jeans production began in Japan. 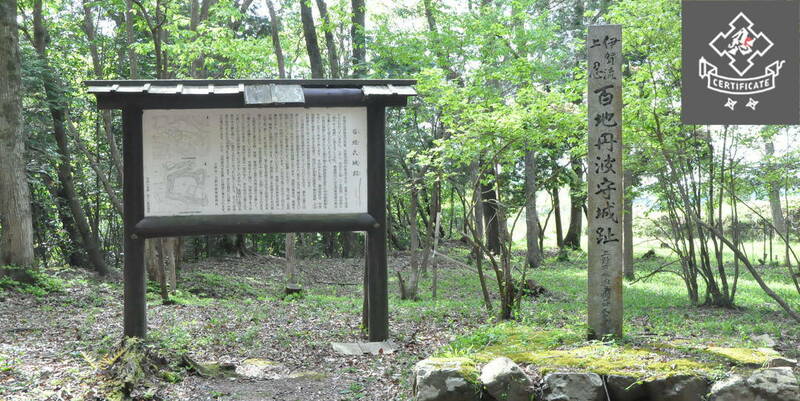 There is also a corner to introduce the history of Kojima with a primary school uniform in 1930 exhibited, where you can understand that Kojima has a long history as a town of not only jeans but also student uniforms. The Museum II was opened in 2014. 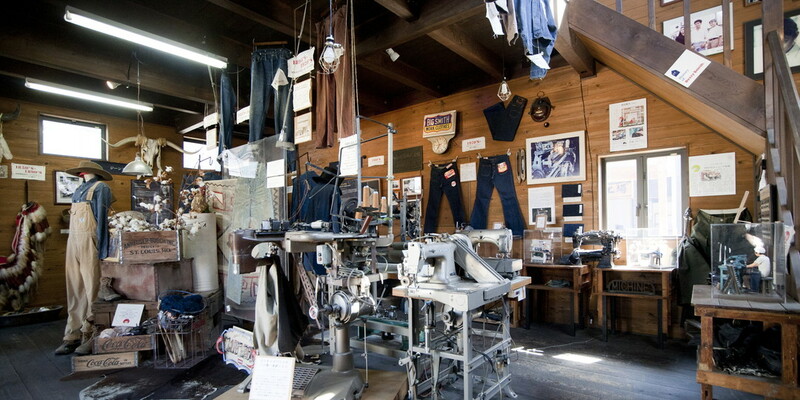 It is a museum with a theme of history and technology of Japan-made jeans. The washing factory that was in operation in the 1970s was renovated, and real sewing machines and equipment to make jeans are exhibited. Accordingly, you can experience how Japan-made jeans are produced. Also, you can enjoy seeing jeans of domestic brands in each generation and old advertising posters in the ‘70s and ‘80s which bring back some memories. A must-see item is a large-sized washing machine exclusively for denim called washer or drum. It is so durable, made of iron. There is also a corner where you can experience a jeans processing method to artificially make color faded like streaks around the base of thighs. Let’s Visit the Oldest Sewing Factory in Kojima. 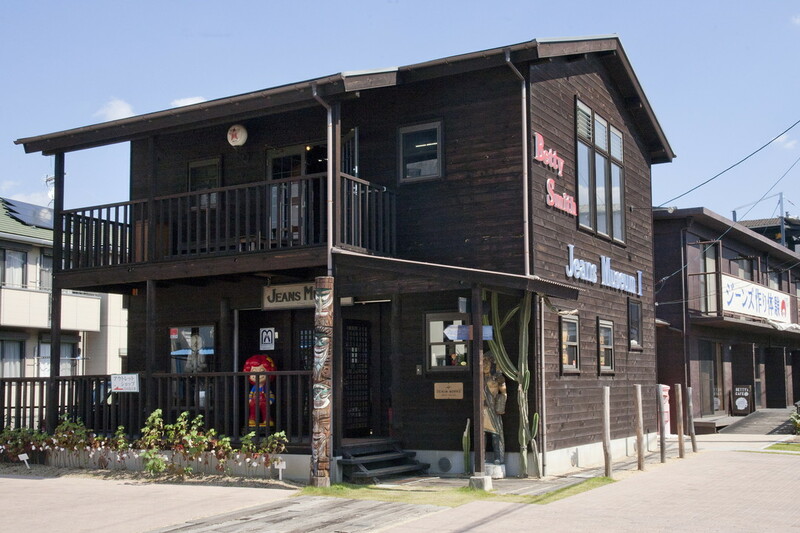 The sewing factory attached to the museum is the oldest among jeans factories in Kojima. Betty Smith is especially committed to "sewing carefully one by one." At the factory, products of its own brand and custom-made jeans are sewn. Through the window glass, you can see the same scenery as the factory in the beginning when the production began in the 1960s. By observing what kind of processes jeans are made with, you will more love jeans. Let's Experience Making Jeans at the Experience Factory! At the Experience Factory, you can experience part of jeans making using the same machine as craftsmen. 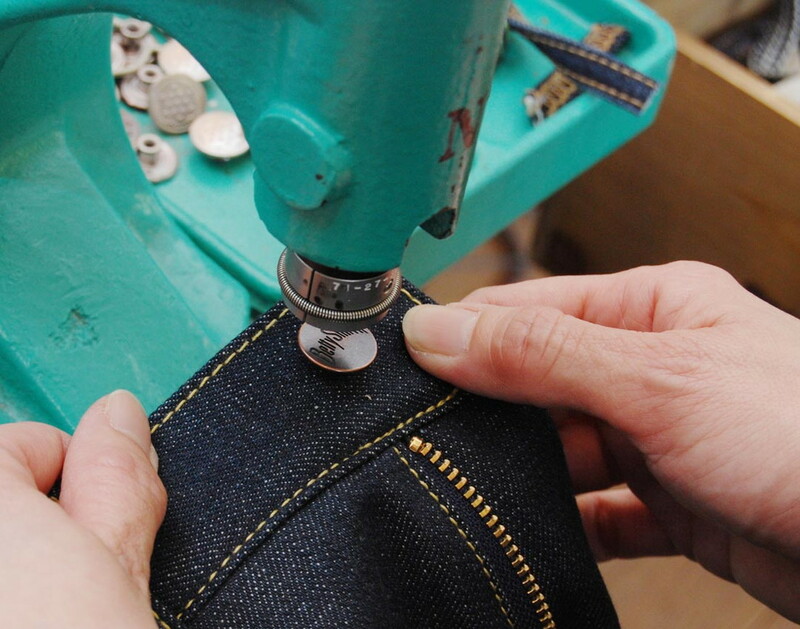 You first buy jeans for which the sawing process has been finished, then select your favorite buttons, rivets, and leather patches, and put them on the jeans yourself. The jeans can be taken home with you soon. 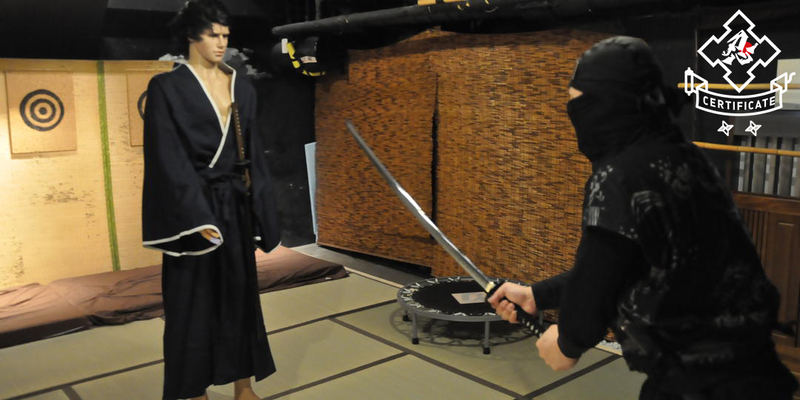 It is very popular because it is an experience unique to the production area. Experience fee is from 7,000 yen including costs of jeans and processing experience (tax not included). In addition, the price varies depending on a type of jeans, cloth, and option. Although jeans for kids (120 cm ~, fee is the same as adult) are available, children should have the experience with an adult, because it is necessary to press down a pedal strongly when using sewing machines and other equipment. Order Your Own Custom-made Jeans that Are Only One in the world! 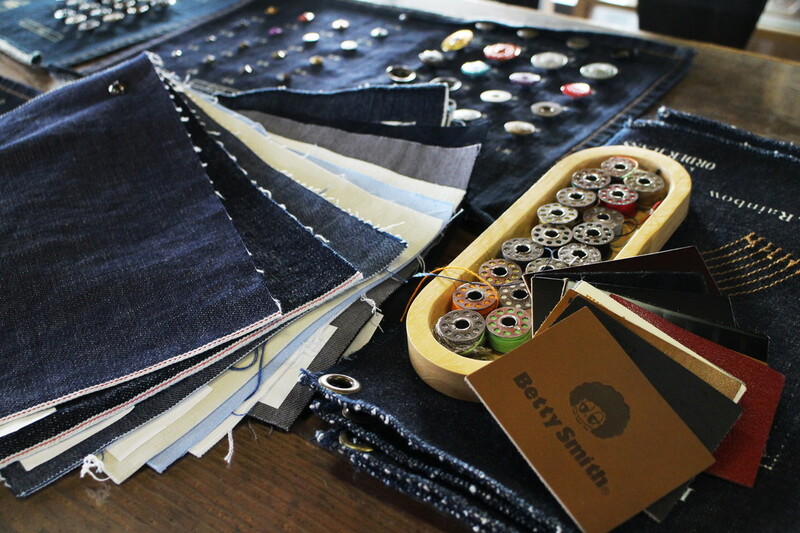 Custom-made jeans are available, which are made with paper patters one by one. If you would like to make your own jeans tailored to your style, please be sure to make a reservation on the website no later than 3 days before your visit. The required time on the day is about 1 to 2 hours per person, including measurement, selection of cloth, and order for processing. Price is from 31,000 yen (basic plan without option). Delivery is about 30 days after the visit to store. Overseas shipping is also available (extra shipping fee is required). You Can Also Enjoy Shopping at Showroom & Store! Next to the factory is Betty Smith 's showroom & store. You can find items that you won’t meet anywhere else, including new products of Betty Smith, standard work wear, denim goods and so on. You can also have easy riveting experience and denim processing experience. Besides, there is a factory outlet converted from the warehouse built 40 years ago in the premises. It sells high-quality men’s and ladies’ jeans at reasonable prices, and has an excellent lineup of "Eco Betty" goods. We wish to express our heartfelt condolences to everyone who suffered damage due to the heavy rain in western Japan in July 2018. 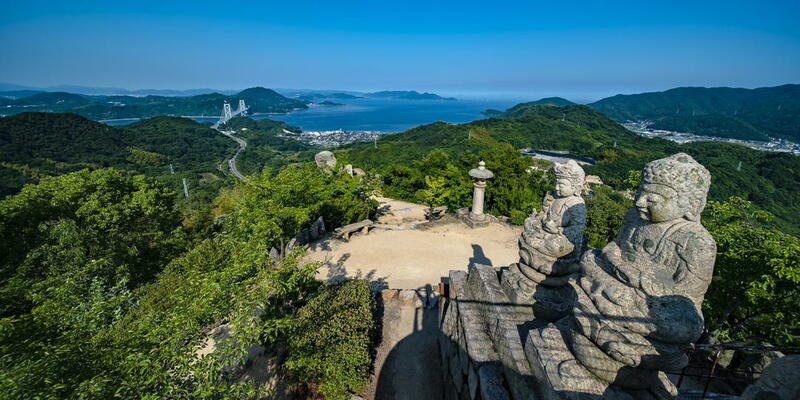 If you are planning a trip to Okayama and Hiroshima area, please check the information in advance.